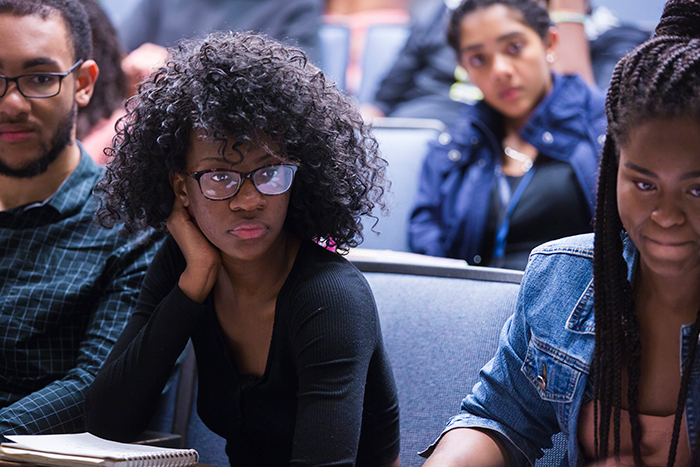 Worth Kamili Hayes, an assistant professor of history at Tuskegee University and an MMUF Fellow who earned a PhD from Emory in 2008, speaks to students during a roundtable discussion at Emory’s UNCF/Mellon Mays Summer Institute. 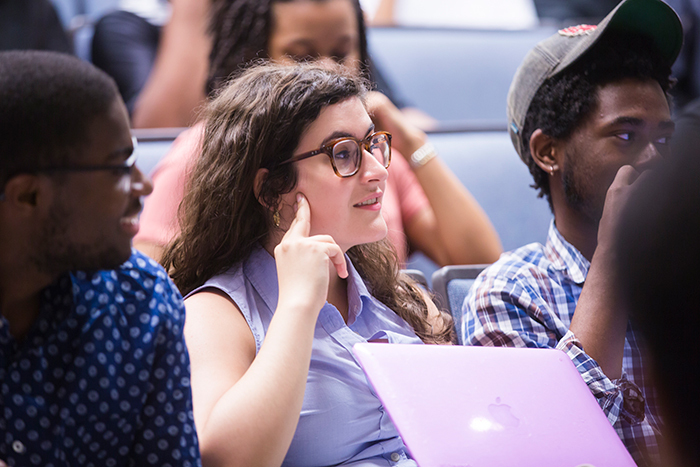 Camila Reed-Guevara (center), a Mellon Fellow and rising junior at Emory, says the summer institute has opened her mind to the possibility of becoming a professor. 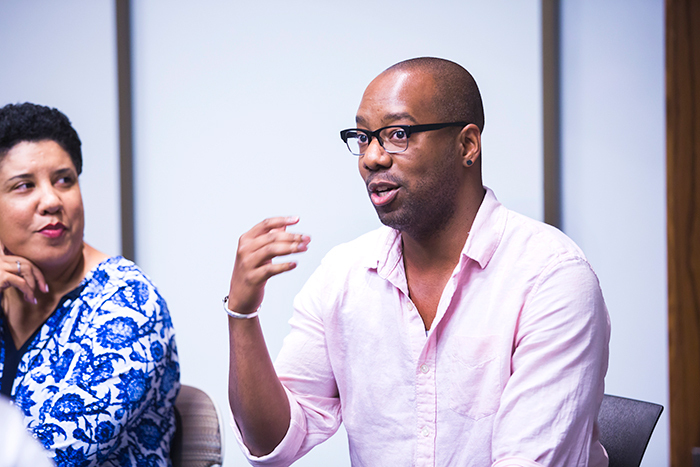 Clinton Fluker (right), outreach coordinator at the Emory Center for Digital Scholarship, talks about opportunities provided to MMUF Fellows. Fluker earned a master of arts degree and PhD in science fiction studies at Emory. 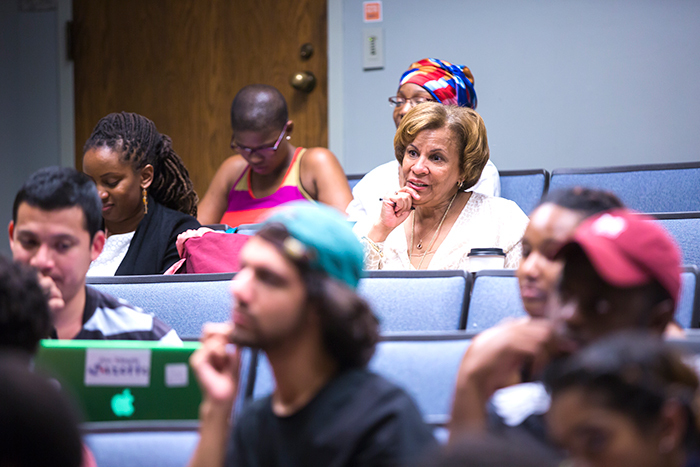 As director of UNCF/Mellon programs, Cynthia Neal Spence (center), associate professor of sociology at Spelman College, helps forge a foundation for students as they explore their first steps toward graduate school. 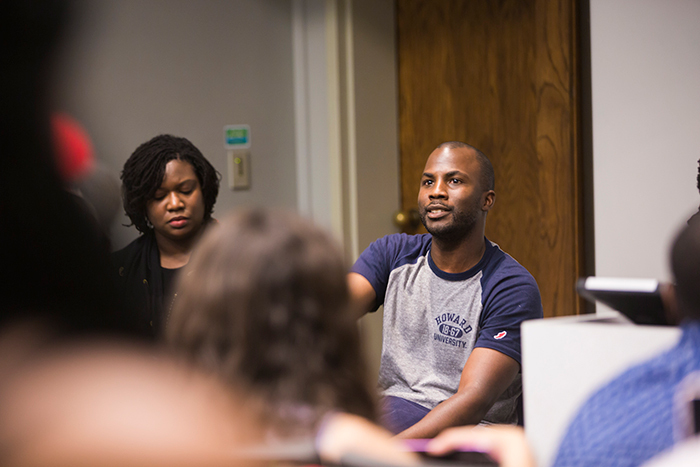 Mawuko “Momo” Kpodo, a rising junior, is among five Emory MMUF Fellows who attended daily lectures and engaged in out-of-the-classroom learning experiences during the summer institute.